Amazing Development Site! Neighbouring lots are currently being re-developed. Gorgeous lot that backs onto a beautiful creek. Developers dream! Maple Ridge is a booming area with lots of new development and a great community with great schools. 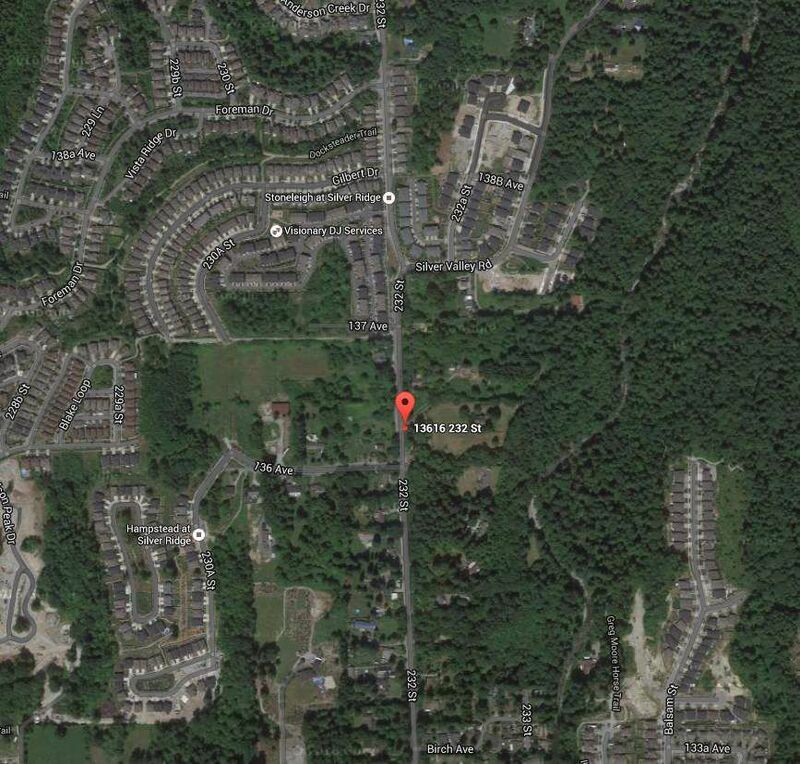 Large 6.2 acre lot. Beautiful views! Great site for development and excellent potential for re-zoning to a higher density. Lot size taken from Ridge view online mapping.